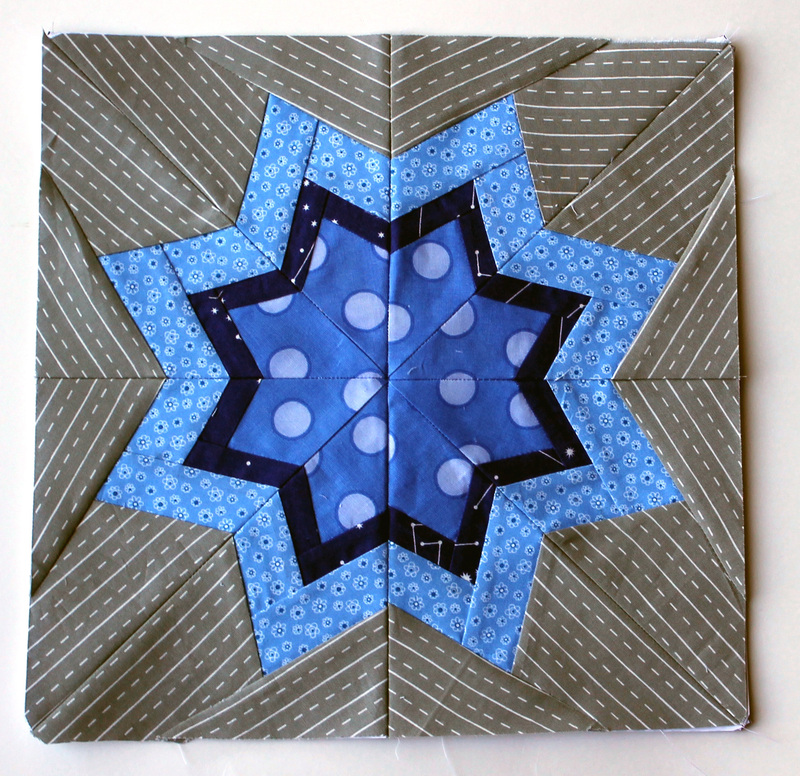 I am pleased to say I managed to get a block done for this week’s paper piecing Monday… and here she is. This pattern is another fabulous free paper piecing pattern from Julie at 627Handworks Block Rock’n. It is called Caldonia and you can find the PDF pattern here. I love the proportions of this star. In my last quilt round I did a similar pattern but this one is definitely my favorite. Beautiful star! I love it in blue, with the grey! Welcome back! What, oh what, is that grey road line print?! It’s crazy awesome, and looks great as the background in your lovely block. Hi. The grey fabric is The Pixie Pops by Timeless Treasures. I picked it up in my local quilt shop’s reman end bin at the beginning of the year. It is really cute. Thanks! Timeless Treasures does some of the best basic blenders. I’ll keep my eyes peeled for this one. Lovely colour palette! I have the pattern for this one, i need to give it a go! Thanks. It is nice to be back. Though my tolerance for sitting at my machine is very low. Getting to a finished quilt is probably going to take me a little longer, but I now have hundreds of ideas and colour combinations I want to play with. A very nice star; I am most impressed with your control of the strip in the gray stripe. beautiful star! 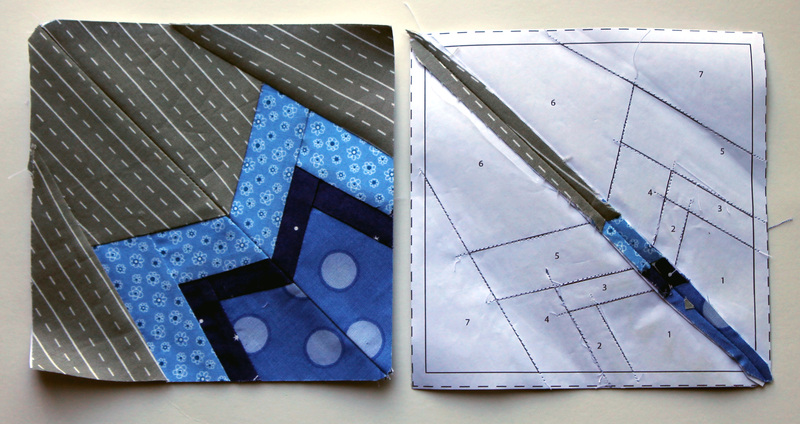 i’ve never done paper piecing, but I think I’m going to have to give it a try! love your colors, and that gray fabric rocks! Glad you’re feeling a bit better! Oh I love this star! A quilt made out of these in bright colours would be fab! I love this pattern too and grey just makes everything pop. It really is a fabulous neutral. Perfection. Love the colors, love the block. How many of these stars do you have completed? It’s going to be gorgeous, Cath! Oh man!! Your paper piecing is lovely! I’m scared of paper piecing but I will have to try it one day. I got my milkshake, and relished every sip. Burgerville does a great fresh strawberry thick shake!